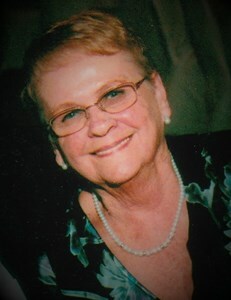 Margaret "Peggy" A. Lynch, 84, of Colonie, passed away peacefully on Thursday, February 7, 2019 at her home with her loving family by her side. Born in Albany on September 26, 1934, Margaret was the daughter of the late Francis and Marguarite (Allen) Schultz. She was the devoted wife to Edward G. Lynch. They were married 66 years. Loving mother of the late Edward Lynch, Jr., the late Michael Lynch, Susan (the late Dave) LeMorta, Steven (the late Karen) Lynch, Kathleen (Jim) O'Sullivan, Lori (Shawn)White and Tracey (Dave) Scott. Cherished grandmother of Gina, David and Kristi LeMorta, Michelle Lynch, Stephanie Lynch, Colleen and Kellie O'Sullivan, Jeremy, Griffin and Connor White, Danielle, Kiersten, and the late Amanda Scott. Dearest sister of Pamela Endres. Also survived by 9 great grandchildren 4 nieces and 2 nephews. Margaret was a communicant of St. Clare's Church in Colonie. She was also a proud and active member of the PTA while her children attended school. Margaret enjoyed spending time with her family and reading. Relatives and friends may call 1-3 p.m., Sunday, February 10th at New Comer Cremations & Funerals, 343 New Karner Road, Colonie, where prayers will be offered at 11 o'clock Monday morning February 11th in the funeral home. Interment will follow the service in Our Lady of Angels Cemetery, Colonie. Add your memories to the guest book of Margaret Lynch. I'll always remember the love that you showed, to all of us, every time we connected, whether it be at a social gathering, or just through an invite to come visit. You'll be forever in my heart Peg. Enjoy heaven with my Mom, Dad, and Amanda. I am so sorry for your loss. Aunt Peggy was such a role model for all. Always a loving and welcoming smile with such beauty, dignity and grace. I am grateful that we never lost touch. May God and time heal your broken hearts. My thoughts and prayers are with you all as you grieve and heal. I love you all! TO: ed, dave and trace(y), and all of peggy's beautiful family. please know that our hearts are broken as well in learning of peggy's passing. beyond writing the book on how to be a wife, mother and grandmother...all who knew her did so as a wonderful person, a beautiful woman and a classy lady. we are hopeful that your faith will offer strength and guidance as you navigate the days ahead, knowing that you can never fill the void left in your lives and in your hearts. your friends love all of you...and will be there to offer support and assistance in any ways that they can. beyond our thoughts and prayers...please don't hesitate to ask should you need anything. with all of our love, michael & peggy. My deepest sympathy on the passing of your mother. My thoughts and prayers are with you and your family.